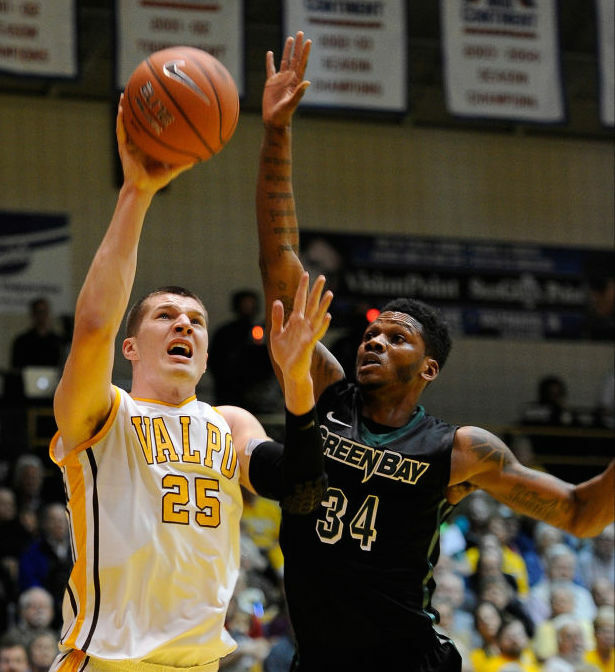 An exciting 2015-16 season in the Horizon League saw Valparaiso contend for an at-large bid, Green Bay’s HyperLinc system race through the conference tournament, and Kay Felder become a third team All-American and NBA draft selection. Although Felder is gone, the conference retains some star power in Valparaiso forward Alec Peters, who also considered leaving early for the NBA draft. With Peters leading the way, the Crusaders are once again the favorites to win the Horizon League crown. Alec Peters is the front-runner to be the Horizon League Player of the Year and is poised for another strong season filled with accolades. He could hear his name called in the 2017 NBA Draft. Tevonn Walker is a capable scorer out of the backcourt and redshirt senior wing Shane Hammink should thrive in a larger role. Jubril Adekoya brings toughness and experience in the paint. Who will protect the rim now that Vashil Fernandez is gone? Adekoya and Peters combined to block 23 shots in 1870 minutes last season. Rim-protection is not in their arsenal. Who will assume the other backcourt role alongside Walker? Lexus Williams is a viable option, provided he plays like he did in 2013-2014 as a true freshman. Fresh off an NCAA Tournament appearance in head coach Linc Darner’s first season, the Phoenix return several key contributors from last season. Charles Cooper and Khalil Small were double-digit scorers, and Jamar Hurdle and Kenneth Lowe were productive inside. Warren Jones is eligible after sitting out last season as a transfer from Bradley. Jordan Fouse will prove to be too difficult to replace. His defensive capabilities and versatility were second to none. Horizon League opponents will be better prepared for the Phoenix this time around. Who handles the point guard duties now that Carrington Love is gone? Jalen Hayes is ready to carry a bigger load offensively with Kahlil Felder gone. Martez Walker will have a full season of eligibility and more shots available. The 6-foot-6 wing can score in a variety of ways. Talented JUCO transfer Stevie Clark, who played his freshman year with Marcus Smart at Oklahoma State, takes over the point guard duties. Nick Daniels and Sherron Dorsey-Walker provide depth and experience. Brad Brechting brings length and rim-protection in the paint. If Oakland couldn’t win the Horizon League with Kahlil Felder, how can they win without him? Felder may prove to be too difficult to replace, and it may set Oakland back a year. Who assumes the floor-spacing role that Max Hooper excelled in? Hooper’s lethal shooting opened up the floor for slashers and post players. New head coach Bacari Alexander inherits a roster with lots of scoring returning in redshirt senior wing Chris Jenkins (12.3 ppg), junior big man Jaleel Hogan (10.2 ppg) and sophomore point guard Josh McFolley (8.2 ppg). Promising big men Gerald Blackshear and Aaron Foster-Smith should benefit from the attrition on the roster with more playing time available. Detroit lost their best player in Paris Bass in the offseason. This is Alexander’s first year as a head coach at the collegiate level, his team could go through some growing pains. Carlton Brundidge and Anton Wilson combined to score nearly 25 points per game from the backcourt. Who will help McFolley to replace that scoring from the guard slots? New head coach Scott Nagy brings a wealth of success to Wright State. Even if this year’s roster isn’t setup for immediate wins, Nagy can make Wright State competitive. Mark Alstork is primed to reap the benefits as his go-to scorer. Expect Alstork to have the basketball in his hands plenty. Junior guard Grant Benzinger gives Nagy a floor-spacing shooter and nice complement to Alstork. Who will be the facilitator on offense? Three of the four big men on this year’s roster are freshmen. The lack of experience in the paint will hurt defensively. Is Steven Davis healthy enough to contribute? If so, Davis is a wild card that will go a long way towards adding depth in the frontcourt. The Norse return three double-digit scorers in LaVone Holland (10.7 ppg), Drew McDonald (10.5 ppg) and Cole Murray (10.1 ppg). Holland will provide stability in the backcourt and Murray is a prolific 3-point shooter as a combo forward (78 3-pointers made at a 45% rate). The real gem is McDonald, who thrived last season while only playing roughly 19 minutes per game. He’s in better shape and looks to build on his impressive freshman campaign that saw him lead the Norse in scoring during conference play. Northern Kentucky also brings in a talented 2016 recruiting class that is on par with UIC for the set of newcomers. Northern Kentucky is still too young to contend in the top half of the Horizon League. Opponents excel at getting to the free throw line against the Norse, will that change this year? Rebounding may be a concern in the frontcourt — other than McDonald, who else will crash the glass? Dikembe Dixson returns after winning Horizon League Freshman of the Year. With Vashil Fernandez gone, Tai Odiase becomes the premier defensive big man in the conference. Dominque Matthews is healthy and ready to once again provide scoring out of the backcourt. UIC arguably brings in the top 2016 recruiting class in the Horizon League, led by combo-guard Marcus Ottey. 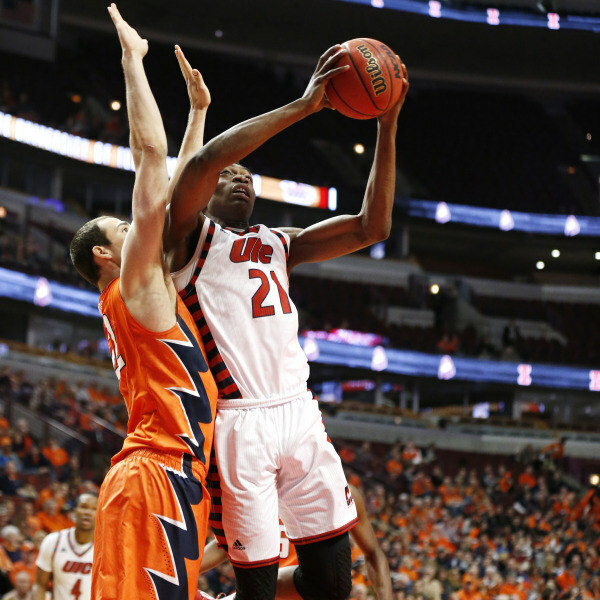 UIC is still too young and a year away from consistently competing. There isn’t a senior on the roster. Who will space the floor as a shooter for a team full of athletes that excel as slashers? Cameron Morse is the leading returning scorer in the Horizon League. He should contend as the top scorer in the conference once again. Matt Donlan is one of the elite 3-points threats in the conference. Francisco Santiago returns with a year of running the offense under his belt. Under Jerry Slocum, Youngstown State has only had one year where they finished above .500 in conference play. Youngstown State biggest concern was giving up a league-leading 85.6 points per game. Has the defense improved enough to have a shot at winning games? Who steps up and scores other than Edwards and Flannigan? Opponents shot 50% on two-pointers against Cleveland State, in large part to a lack of a rim-protector. Who will anchor the defense in the paint? First-year head coach LaVall Jordan played a significant role in developing Michigan’s guards as an assistant coach at Ann Arbor. He’ll carry that over in Milwaukee. Jordan brought in four guards in the 2016 class that he’ll tailor for success. Bryce Nze, a three-star recruit according to Rivals, will have ample playing time to produce as a freshman inside. After the graduation of J.J. Panoske (10.5 ppg) and Matt Tiby (15.6 ppg) and the transfers of Austin Arians (11.4 ppg), Jordan Johnson (12.5 ppg and 8.1 apg) and Akeem Springs (13.2 ppg), Cody Wichmann returns as the leading scorer at 4.8 ppg. That’s a major concern. There are too many unproven players, coupled with a first-year head coach at any level, for immediate success.